General Motors an American multinational car maker is going to revamp its on-going flagship by offering its facelift. Recently company has appointed Mr. Arvind Saxena as its new President and MD and in his words changing the things which have been in practice from long time is not than challenge for him. As it is known that company’s recent launch including Chevrolet Sail hatchback and sedan followed by Enjoy MPV did not succeeded in enjoying the success expected by them. On the contrary company is witnessing regular decline in its sales. Apart from these emission issues of Tavera added fuel in fire with this company faced the financial loss of Rs. 2,740 followed by its declining share in Indian car market. In the words of Mr. Saxena company is going to launch any new product in market till 2017. After which company speculates to launch a new crossover based on Adra concept which will be followed by a sub-four meter sedan. This year company is going to launch the facelift version of Beat and then Cruze by 2015. It is also speculated that company might offer the facelift version of Sail hatchback and sedan. Bringing the performance of General Motors on healthy tract is not less than a tough exam for Mr. Saxena who has to turn the fortunes of company in favorable before his retirement. It means that Adra concept car and sub four meter sedan will be launched under auspice of Mr. Arvind Success and its success would be huge success for Mr. Arvind Saxena. 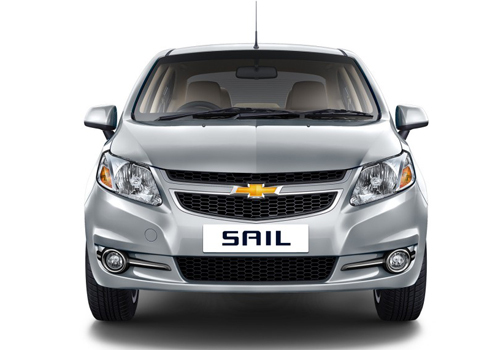 Click here to know about features offered in Sail sedan and Sail UV-A.